A brand new 7 bedroom chalet, with 609 sqm (6,555 sq ft) of living space, designed and built by Jean-Charles Covarel, complete 32 sqm swimming pool and full array of wellness facilities. 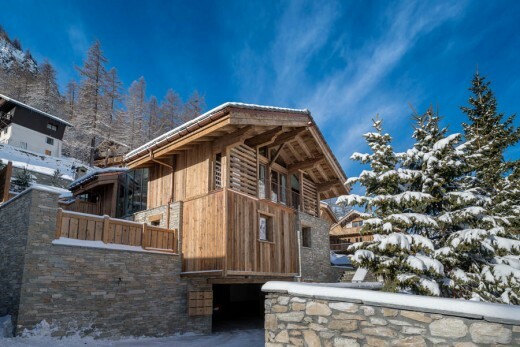 Located within quiet private ‘hameau’ of chalets just 300m from the centre of Val d’Isere, the property can also accessed via the mountain to rear of property (ski-in). 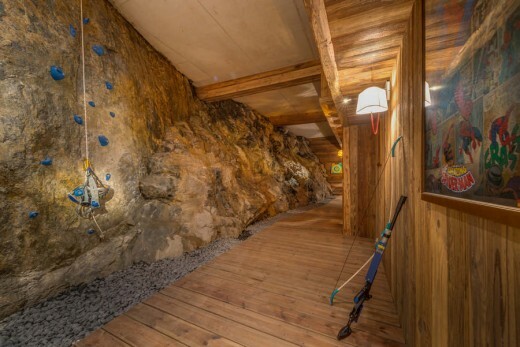 Chalet Husky takes the term ‘Apres ski’ on to a new level with dedicated bar, archery and pistol range, and indoor climbing wall. The two-storey indoor atrium garden floods natural light into the property and a glass footbridge stretches across this space connecting the various living areas. The largest chalet of the collection, Chalet Husky (€12m), is recently complete (Mid Dec 2013) is the largest newly built chalet available in the resort. 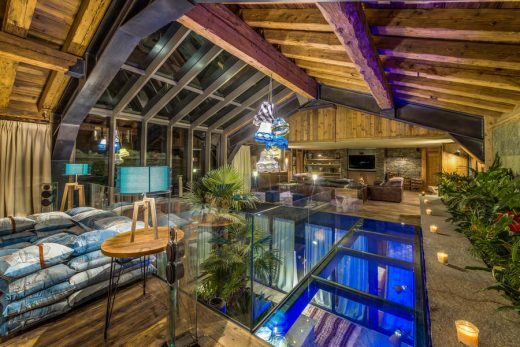 In our opinion it’s the best ski chalet available in the alps at the moment. – 1st floor Lounge, Kitchen, Dining & Bar combine to create a 200 sqm living area unlike anything else available in the alps. – Separate sauna, Hammam, Jacuzzi, wellness area for treatments, relaxation area next to swimming pool & gym room.